1. 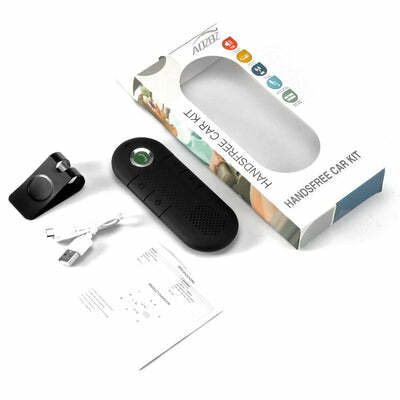 Designed for great stereo sound with HD Voice, transfer your calls, music, GPS navigation or any other type of audio from your Bluetooth device to this speakerphone. 2. Support private talking, one key to change to phone answer. Built-in technology of reducing wind drying and echo elimination (CVC). 3. Support dual phone connection. Up to 10 meters range signal reception, easy to use. This Speakerphone will turn off automatically after 10 minutes when it is no connection. 4. 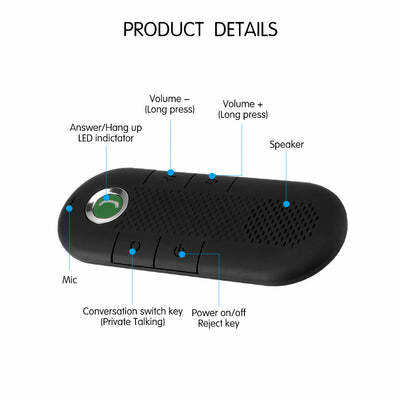 Built-in 180mAh lithium polymer battery, up to 3 hours talk time, long standby time up to 180 days. 5. 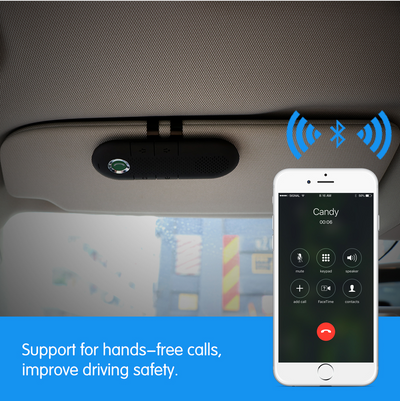 Support for hands-free calls, improve driving safety; can connect the phone to play music via Bluetooth. Support incoming call number report. English voice prompt. 6. 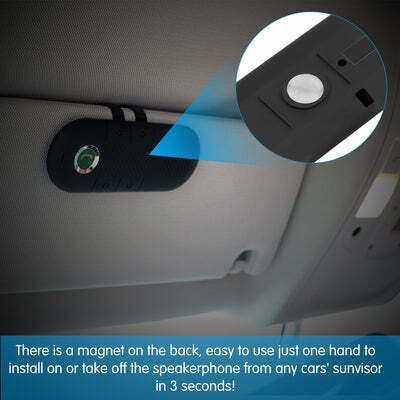 There is a magnet on the back, easy to use just one hand to install on or take off the speakerphone from any cars' sunvisor in 3 seconds!